Tweetsie No. 12, one of two steam engines used on the excursion railroad, is the last surviving engine from the 50-mile, narrow-gauge Eastern Tennessee & Western North Carolina Railroad that ran through the mountains from Boone to Johnson City, Tenn., beginning in the late 19th century. 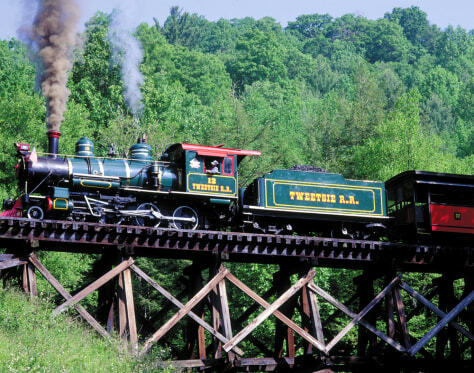 Locals named the train the "Tweetsie," after the shrill steam whistles that echoed through the hills.